Chrichton's World: Playing Dark Souls III (PS4): My thoughts so far! Playing Dark Souls III (PS4): My thoughts so far! Yes, I am very aware that I am late to the party but I am here now. 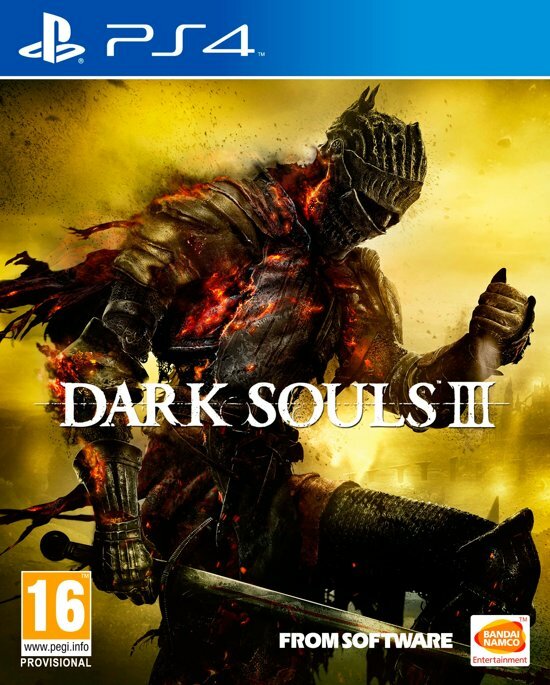 Dark Souls III was on sale and I am not one to let such an oppertunity pass me by. Even if I am not a true believer. Don't get me wrong. I have spent hours and hours into this franchise. And must have gone through the same joy and agony others have. However I still haven't fallen in love with it since I don't think it's as good or perfect as the fans would have you believe. It appeals to me yes. But I honestly don't get the passion some have where they are gushing about the game and basically are trying to convince you they met the love of their life. I mean some really spent more time with those games than actually with their partner. If that is the case something is wrong with you. Because despite what they might have you believe, it's just a game. Compared to previous games Dark Souls III transitions you into the dark and scary quite smoothly. At least to me. It could very well be that for new players this game still can be a little intimidating. However it's far more forgiving than ever. There are a bunch more bonfires (checkpoints) and it does look like it's more rewarding to risk takers. Still, if you get too bold the game will remind you that you still can't barge into areas and then expect to come out on top without some skill or strategy. It will immediately punish you for it. You still can be pummeled to death by every enemy in the game if you are careless. And in case you at one point think it's not challenging enough it will present you with a situation dire enough to make you scream at the screen. So how did I fare with my first boss? 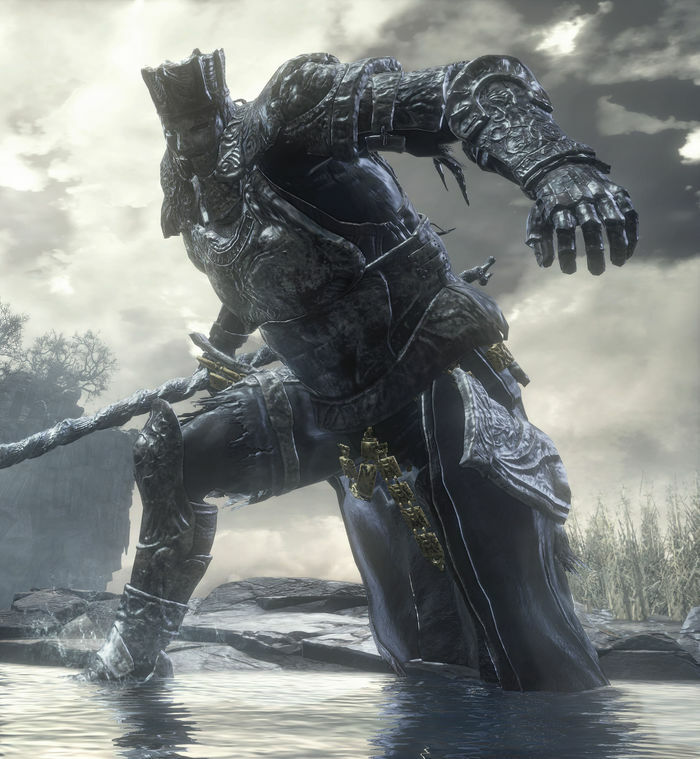 The very menacing looking Iudex Gundyr. He looks more impressive than he actually is. I managed to beat him at my second attempt. And I probably would have done so on my first try if not for a stupid mistake I made by backing up instead of running towards him. Fortunately I knew that dodging would be more effective than using the shield. Vordt of the Boreal Valley is no pushover that is certain. But before I got to him I made sure that my character had enough strength and flexibility so that I could strike and dodge right after. I got him on my first attempt. Curse-Rotted Greatwood I managed to beat the second time although I didn't really had too much trouble the first time mind you. The only issue was that I couldn't reach the remaining ball sacks and got frustrated. After I had beaten him I felt confident I could take on every enemy. Then I encountered those pole enemies and giant crabs who would retreat after having been hit enough with projectiles. Which was fine as long as they would return so that I could finish them off. But no, when they return they are at full health again and you have to start all over again. The game demands you take them on up close and personal. They aren't that tough however you are a little handicapped because of the mud. Anyway after venturing into this pretty big area there are quite a few difficult enemies awaiting you. At one point I just ran past them into this big opening not realizing I was in the middle of a boss fight. Crystal Sage was waiting for me. I told myself to stay calm and give him hell. And I was doing pretty well until I tried to be cautious. By hiding behind the pillars to avoid the devastating magic attacks. I should have kept rushing him and attacking when I could and not be bothered about those attacks since if you are close his casts won't hit you. It took me a few tries to figure out a solid strategy and in hindsight it was quite easy. Instead of going to the Cathedral of the Deep I went to Farron Keep first. I can't tell you how much I dislike this area. But it had a lot of goodies and a mini boss. An old familiar. The first boss from Dark Souls. A stray demon. Or maybe he is not the same but offspring. Who cares? I got him on my third attempt. At this point I had equipped too much and I couldn't dodge his attacks properly. After I removed some items and gear it was relatively easy to stay behind him. I realized my character wasn't strong enough and went to explore the Cathedral and invested some time into leveling up my character. The Deacons of the Deep were a joke especially compared to almost every enemy up until this point. Encountered Patches. Fortunately for me I had already disposed of the giants. I wished the game would give me an option to torture this character. Then it was time to take on the Abyss Watchers. I had read a lot on this boss and I had made sure I was prepared. To be on the safe side I used a summon (Black Hand Gottard). One of the wisest decision ever since he made the battle so much easier. Must admit I was a little disappointed that I got him on my first attempt. After I went into the catacombs for a but and rushed to the Smouldering Lake. I let the ballista kill the giant worm. I know I still have a boss to beat in the catacombs. Also still have to pick up some items there as well. But for now I am done with this game. Going to take a break since I am not liking these areas one bit. It feels like these areas and enemies are just put in the game to annoy you.